Class it up while representing Christopher Nolan's Batman: The Dark Knight series of films! 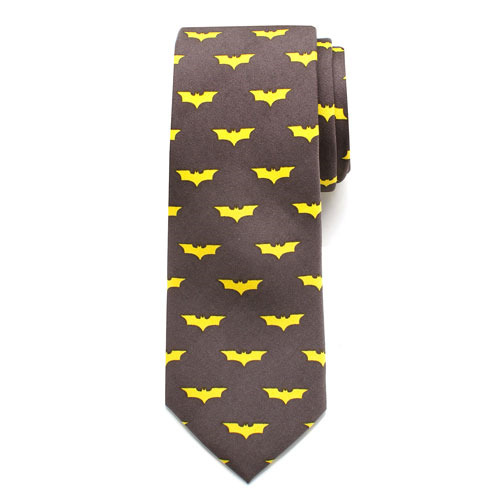 This Batman Dark Knight Boys Large Silk Tie measures approximately 49-inches long x 2 3/8-inches wide and features DC Comics' The Dark Knight Batman symbol in yellow on a gray background. 100% Silk. Best suited for ages 15 and up. Pre-tied with hook closure for easy-on, easy-off.